Keeping Fit when It’s Chilly! Anyone who knows me well would know that it would be incredibly hypocritical of me to do an exercise post, because I do none. In winter at least. With the beckoning calls of Macaroni Cheese and my onesie, hitting the gym is the last thing on my to do list. 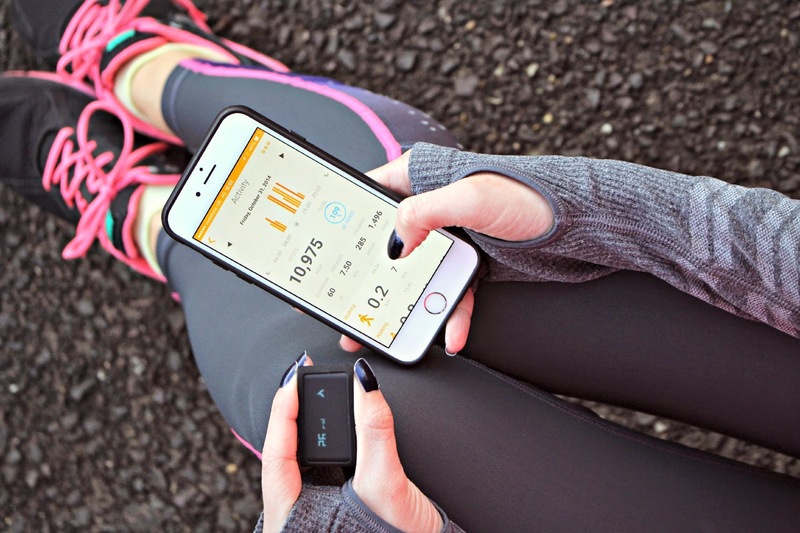 That’s why I’ve been really enjoying using the Withings Pulse* recently – it’s a little mini supercomputer which you can wear as a watch, or strap onto your clothing, and it monitors your steps, heart rate, distance walked, elevation climbed and calories burnt. All of this makes you realise just how much exercise you do, without even trying! The best thing about the Withings Pulse, for me is the iPhone app that you download, which tracks your activity. You can see all the stats really clearly which helps you keep track of your daily goals. You’re supposed to make around 10,000 steps a day, and even when I’m at work, in the office from 9 – 6, it’s surprising to see how many steps I actually take. Since using the Withings Pulse, I’ve been more likely to take a walk in my lunch break, and walk home from the tube station instead of taking a 10 minute bus. All this extra walking doesn’t really feel like exercise, but having the goal of 10,000 steps a day is a real motivator! You can buy Withings products from Selfridges here. 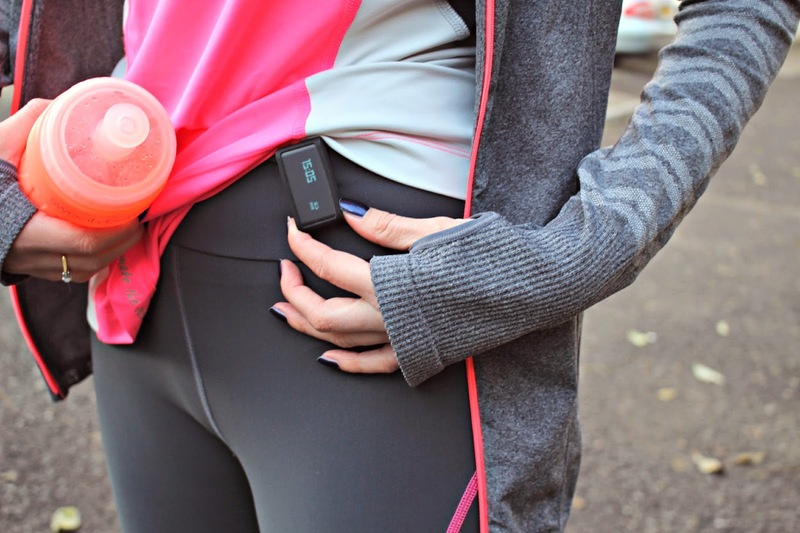 Of course you don’t have to get all togged up in gym gear, but it’s also interesting to see how your activity and calorie burning stats rocket when you do a gym class! So far the ones that give the best results according to the app are Zumba and Body Conditioning – lots of energetic movements make you sweat a little but the class is so fun that again it doesn’t feel like a chore! My usual gym kit consists of the Personal Best Vest from Every Second Counts, it’s loose fit so perfect when you don’t want anything too revealing (after too many Macaroni Cheese’s!) underneath the Take Your Time Hoody, it’s super soft and perfect for layering! Both from Every Second Counts online here. 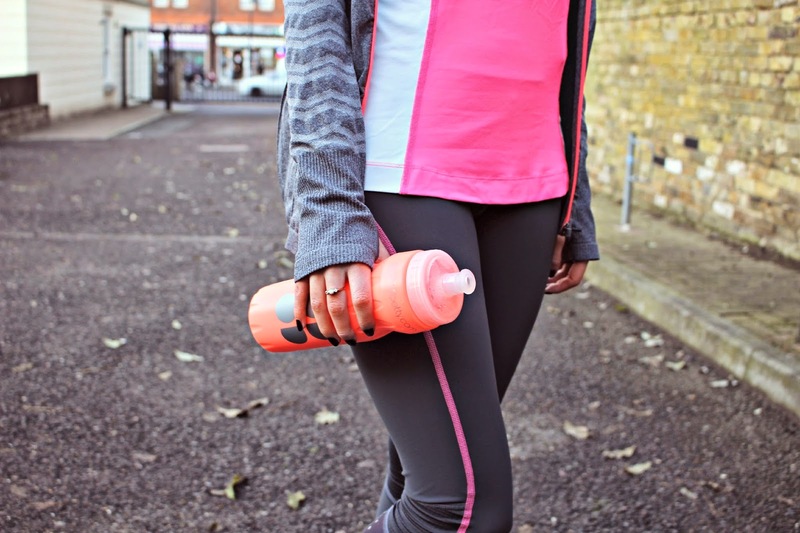 I mix and match my leggings, these ones are Sweaty Betty, as is the bottle! What are your favourite ways of keeping fit when it’s chilly?